Did you know that about 1.3 billion tonnes of food is wasted every year? Don’t let surplus food go waste, give it to the needy! An initiative that uses technology to distribute surplus food among needy and hungry people. 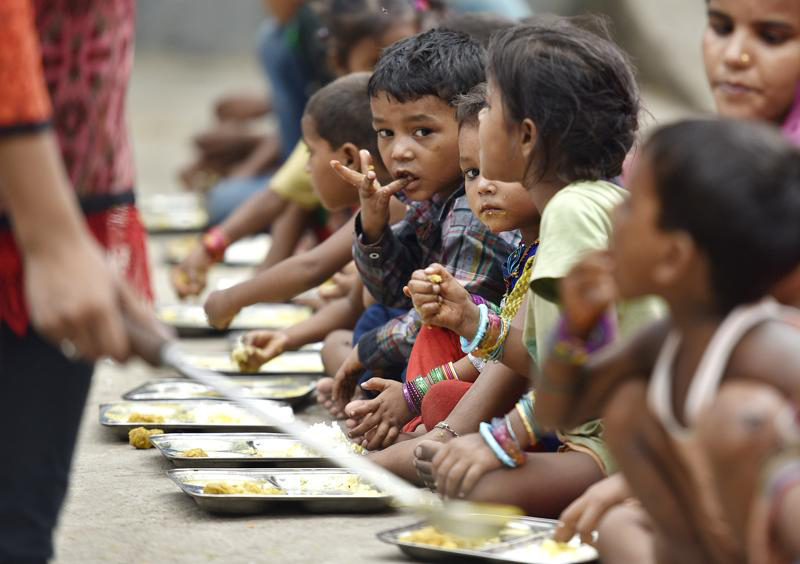 There are 194.6 million undernourished people in India alone. Well, we knew it is not possible to ensure that no one sleeps hungry at night. But, at least we can take a step in the direction and 'Aahar' is our initiative for this cause. 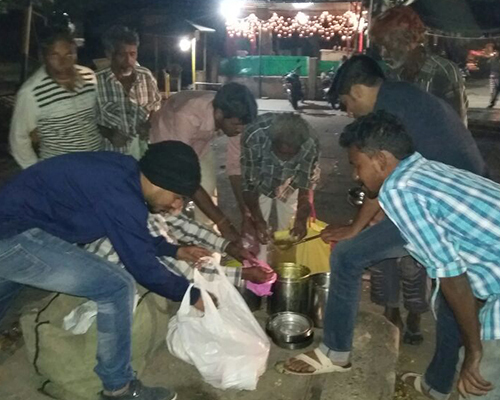 'Aahar' is our commitment towards the community to use excess cooked food to serve the underserved people. With this initiative, we help users reduce food wastage and make better and right use of their excess cooked food. From social events to parties organized at home, there are several instances when you are left with cooked food that will be rendered useless by next day. Instead of throwing the food away, we urge people to let the food reach the right mouths. Join hands with us today! A little thought on your part can mean the world to others! 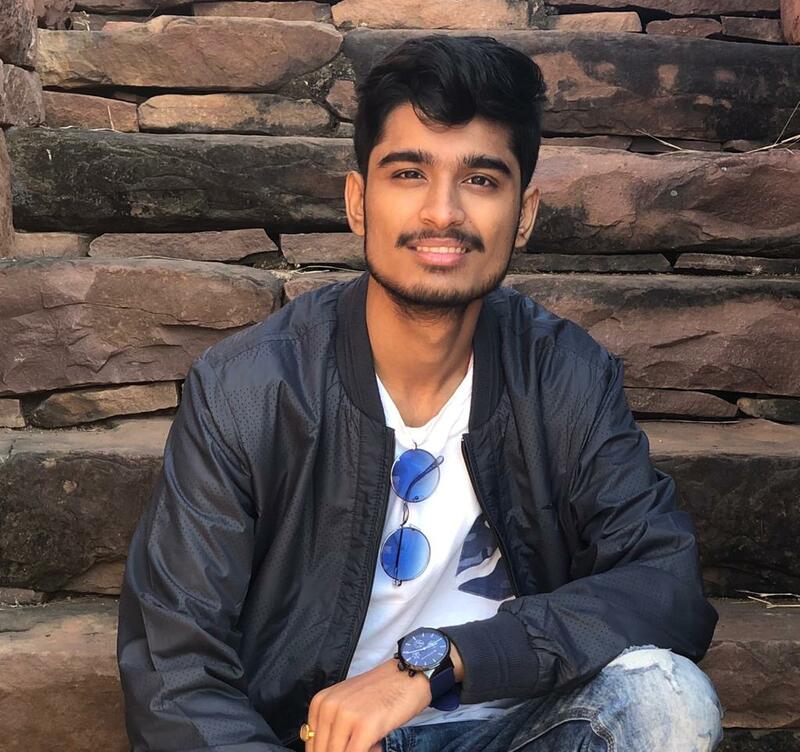 'Aahar' is a brain child of Indore divisional Commissioner Sanjay Dubey, ably supported by his son Shantanu Dubey a Tech student at IITB and Rakesh Jain director of 'INFOCRATS Web Solutions'. The initiative ropes in hoteliers, caterers, bakeries, sweet shops, hostels, malls, individuals & NGO's. 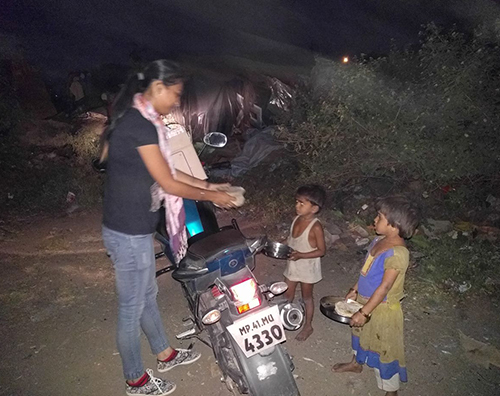 ​Initiative helps citizens/people/organization to donate cooked/prepared/ packed food to serve to the people in need of food. It works in 3 modes. 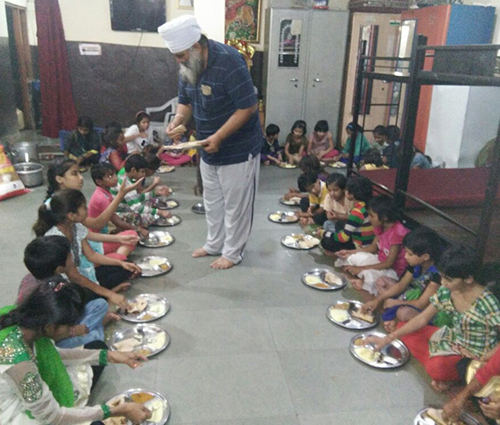 Any surplus food prepared during functions/ parties can be donated through ​'Aahar' app. Fresh food prepared at select locations can be donated to feed hungry people by contributing in cash. Packed food nearing expiry can be advertised to be sold to consumers at discounted price. BBC News Hindi covered Aahar in their episode. The video received great response and garnered appreciation from all over the world. The social entrepreneurship practices are receiving recognition from the honorable Prime Minister Narendra Modi himself, in the form of launch of the ‘self4society’ portal. This led to people from all over the world inquiring about Aahar and wanting to adapt it in their respective places. 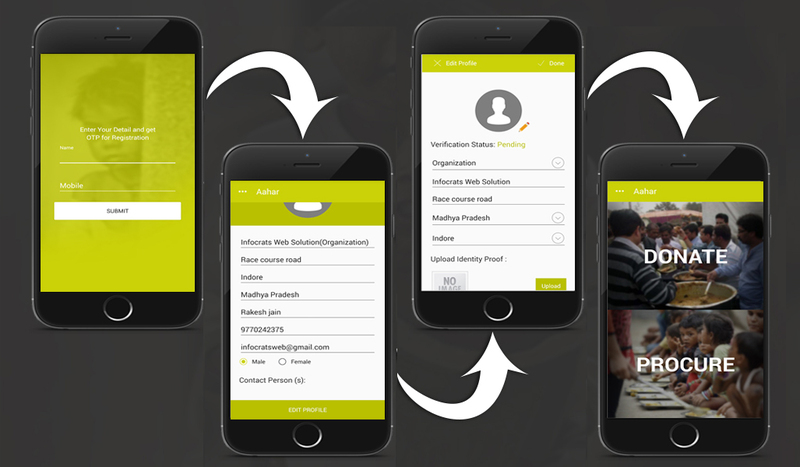 ​'Aahar' a social platform that brings together volunteers and donors interested in donating food. 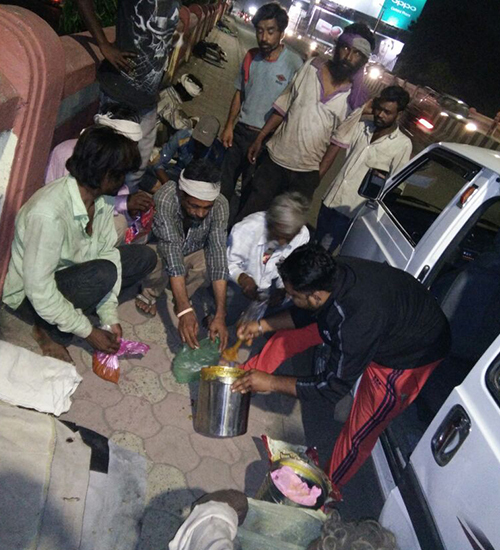 Aimed at eliminating food wastage, ​'Aahar' is a unique concept started in Indore. Connecting individuals interested in procuring as well as donating food at different establishments. 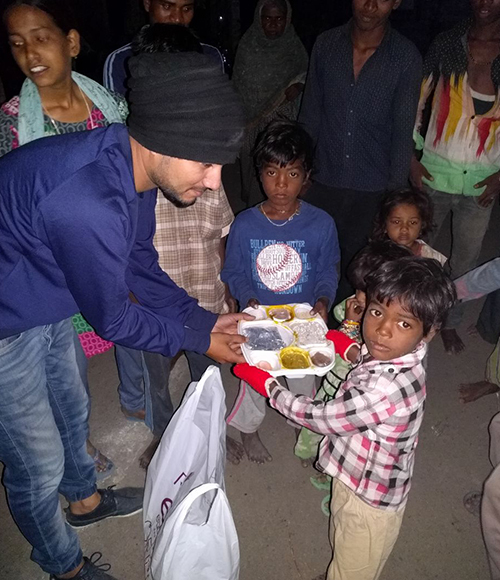 With a network of individuals and community organizations, ​'Aahar' is helping distribute food to those who really need it. Designed with the users in mind, ​​'Aahar' is an intuitive, easy-to-use application. Here are the steps to use ​'Aahar' for food procurement and donation. Enter the App using OTP verification. You can now Donate food / Procure food for distribution. 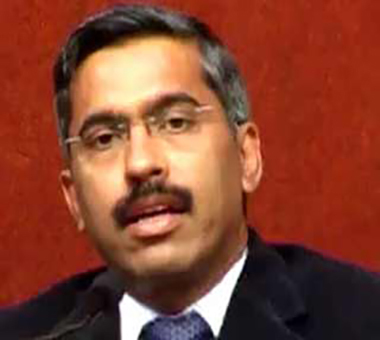 An IAS Officer of the 1993 batch, he continues to innovate and devise ways for serving the poor and downtrodden. 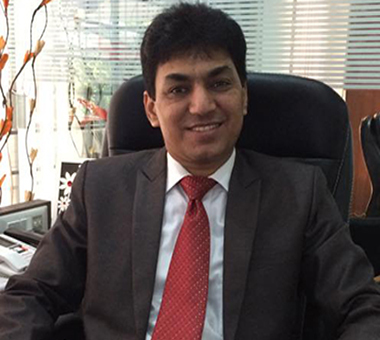 Keen to give back and contribute to the society, Rakesh Jain is involved in leveraging technology to address social issues. A very passionate individual, he believes in making use of technology to resolve some of the issues plaguing society. The integration of web fonts has always been one of the largest contributing factors to diversity in the overall look and feel of websites today vs. yesterday. Copyright © 2019, Site Developed By: INFOCRATS Web Solutions Pvt. Ltd.